In less than 20 years, our appreciation for micro-RNA molecules (miRNAs) has grown from an original, curious observation in worms to their current status as incredibly important global regulators of gene expression that play key roles in many transformative biological processes. As our understanding of these small, non-coding transcripts continues to evolve, new approaches for their analysis are emerging. In this critical review we describe recent improvements to classical methods of detection as well as innovative new technologies that are poised to help shape the future landscape of miRNA analysis. 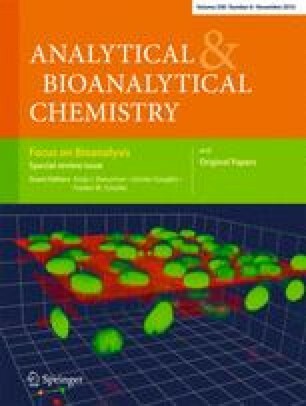 Published in the special issue on Focus on Bioanalysis with Guest Editors Antje J. Baeumner, Günter Gauglitz, and Frieder W. Scheller. We gratefully acknowledge financial support for our own efforts in developing a quantitative, multiparameter miRNA analysis platform from the National Institutes of Health (NIH) Director’s New Innovator Award Program, part of the NIH Roadmap for Medical Research, through grant number 1-DP2-OD002190-01; the Camille and Henry Dreyfus Foundation, through a New Faculty Award; and the Eastman Chemical Company (fellowship to AJQ).